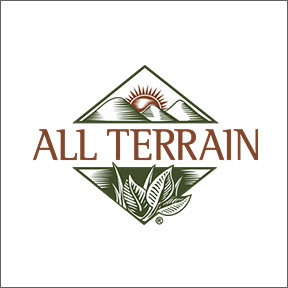 Professional Supplement Center now carries All Terrain, a line of safe and effective products designed for people and families who live an active, healthy, outdoorsy lifestyle. Whether trekking in the backcountry or spending time in the backyard, All Terrain’s sunscreens, insect repellents and itch relief solutions provide outdoor enthusiasts with environmentally friendly, natural-based options for protection from the elements. Manufactured in Sunapee, New Hampshire, All Terrain’s cruelty-free, high performance products have won numerous awards for safety and efficacy, and are laboratory or field tested to meet high performance standards. Concerned by childhood obesity and shrinking daily recess time, All Terrain actively supports local and national organizations that encourage outdoor activities in support of improving children’s health. TerraSport™ Sunscreen Lotion SPF 30: Formulated for active lifestyles, this non-greasy, extremely effective broad-spectrum UVA/UVB sunscreen naturally protects with chemical-free ingredients. Top rated by the Environmental Working Group (EWG), this no-slip, dry-grip lotion is water and sweat resistant, won’t sting eyes and is oxybenzone and paraben free. Suitable for adults and children 6 months and older. TerraSport™ Sunscreen Spray and SPF 45 also available. Ditch The Itch Spray™: This convenient, easy to use, fast acting natural skin protectant spray helps to relieve minor skin irritations and itching due to rashes, eczema, insect bites, and poison ivy, oak and sumac. Non-irritating, hypoallergenic, paraben-free formulation. Ditch The Itch Cream™ also available. KidSport™ Broad Spectrum Lotion SPF 45: This broad-spectrum chemical-free sunscreen is water resistant for 80 minutes. Non-nano zinc oxide and titanium dioxide protect against UVA and UVB rays in a non-whitening, non-stinging, oxybenzone and paraben free formula. Ideal for children with sensitive skin. KidSport™ Broad Spectrum Spray and SPF 30 Lotion also available. Herbal Armor™ Insect Repellent Continuous Spray: This DEET-free, extremely effective, non-irritating insect repellent is formulated oils of citronella, cedar, spearmint, lemongrass and other botanical oils. Easily sprays at any angle for full body coverage to help to repel biting insects and ticks. Sweat and water resistant, non-damaging to clothing or equipment. Children’s formula also available. AquaSport™ Broad Spectrum Lotion SPF 30: This non-greasy, no-slip, dry-grip broad-spectrum lotion offers safe, highly effective sun protection for athletes, active people and kids. Non-whitening, water and sweat resistant, fragrance-free, 80-minute formulation. Suitable for adults and children over 6 months of age. Itch Spray for Pets: This paraben-free, fast acting spray naturally protects and helps relieve pets’ minor skin irritations and itching. Ingredients include colloidal oatmeal, shea butter, aloe vera and eucalyptus, tea tree and neem oils. This entry was posted in Home and tagged AquaSport™ Broad Spectrum Lotion SPF 30, Ditch The Itch Spray, Featured Brand – All Terrain, Herbal Armor™ Insect Repellent Continuous Spray, Itch Spray for Pets, KidSport™ Broad Spectrum Lotion SPF 45, Professional Supplement Center, TerraSport™ Sunscreen Lotion SPF 30, Vitamins and supplements, www.professionalsupplementcenter.com. Bookmark the permalink.